Governor Nyesom Nwike...Who is really mad now? Joseph Mbu - does anyone still remember that grotesque character today? Those who followed political events in Rivers between 2013 and 2015 should. He was the Police Commissioner used relentlessly by then ruling PDP to "persecute" the opposition governor in the Garden City. But the table has since turned. PDP and APC have traded places. From the look of things, one Akin Fakorede is the new Mbu giving incumbent Governor Nyesom Wike "hell" on behalf of the current ruling party in Abuja. 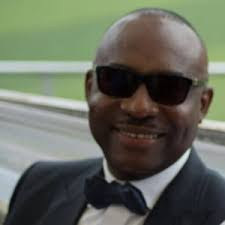 Not once or twice has the Rivers governor publicly bemoaned the activities of the head of the Special Anti-Robbery (SARS) unit as undermining him. The same way Rotimi Amaechi often complained bitterly against Mbu. Joseph Mbu...Epitome of Sad memory? 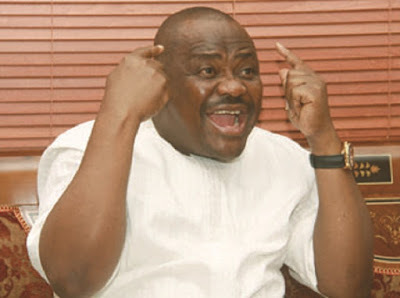 In the bloody election re-runs held so far in Rivers, Wike consistently accused Fakorede and his unit of acting as though they were the armed wing of APC during the exercises. Things took a rather dramatic turn last week with Wike leveling a weightier charge against Fakorede's SARS. 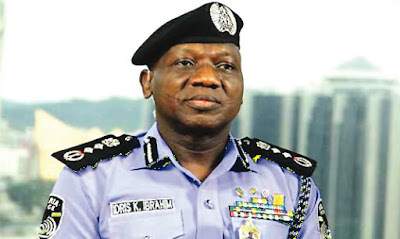 A member of the squad was allegedly killed during a shoot-out with the independent police unit deployed by the Inspector General that foiled a kidnap attempt on one Ifeanyi. IG Idris Abubakar....To tell the truth or say a lie? 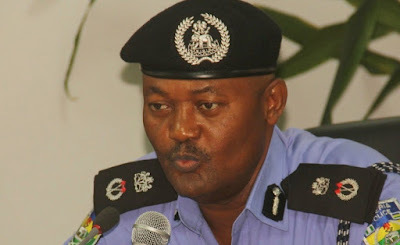 Following the distress call, the IG's special forces swiftly arrived in the nick of time near the Fidelity Bank branch in Port Harcourt where the kidnappers took Ifeanyi at gun-point to withdraw N500,000 cash from ATM as ransom. Ordinarily, the IG's special unit initiative should be commended as having thus helped rescue a citizen in distress, with the glory being ultimately IG Ibrahim Idris'. But the devil was in the details. By the time gun-fire smoke cleared, it turned out that the bullet-riddled body that lay on the ground was alleged to be that of a SARS operative! Strangely enough, while addressing the press conference, Wike went further to identify the slain officer as the one who accompanied Fakorede to allegedly tamper with PDP's ballots at the collation centre in the last election re-run in the state. That was enough for him to now conclude that Fakorede and SARS were deployed in Rivers to undermine him and project the state in negative lights by creating a facade of siege and instability. Interestingly, Wike's claims were dismissed 24 hours later tersely as "nonsensical" by the IG.. The Police PRO in River had earlier declined comment. While not denying that a cop was killed, Idris attributed it to the IPOB upheaval in Port Harcourt that day. Curiously however, the IG was silent on the "smoking gun" already in circulation which tended to lend a strand of credulity to Wike's grave allegation as published by The Punch of last Thursday - a "police wireless message" with reference number DTO: 121030/09/2017 - suggesting how the IG's special unit got involved in the bloody rescue operation. So, it is now a question of Wike's word against the IG's. But the Nigerian public deserve to know the whole truth given the gravity of the charge. To dispel rumor and restore public confidence, the IG surely needs more explaining to do to us, beyond the scant word already uttered. Where is Ifeanyi? Was a member of the IG unit truly injured during the shootout at Fidelity Bank? By who? If alive, where is/are the suspect(s)? Besides, no less curious is that it was the local APC branch who started speaking for the police vigorously long before IG was "ambushed" by the press at the Presidential Villa in Abuja for comment on this puzzle. 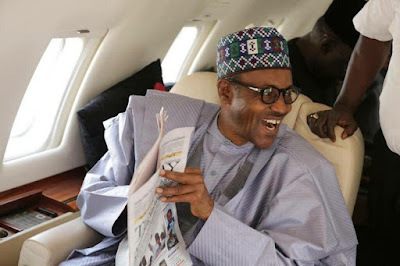 It all looked like a throwback to the absurdity we witnessed when Amaechi was at the receiving end of "federal oppression" only few years ago. 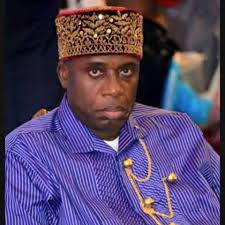 Each time Amaechi complained against Mbu's dirty tactics then, PDP's attack dogs were the first to bark - in fact louder than could be expected of the accused. Now, we are told Wike is after Fakorede only because of the cop's refusal to accept inducement to compromise in Rivers. But who ever believed when similar stories were also told against Amaechi yesterday when Mbu was dealing him unfair tackles? Having promised "change", let the Rivers APC be told the best way to demonstrate superiority of value is to conduct themselves in a more civilized manner. Taking over the job of police PRO as they seemed to have done here is laughable. Otherwise, they risk being accused of breaking PDP's records in infamy.